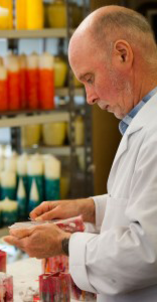 "My name is John Baker and I am the Lynton candle maker. Born here in beautiful Lynton, I first became interested in candle making after reading an article in a national magazine. Feeling inspired I purchased a candle making kit and I haven’t looked back since. 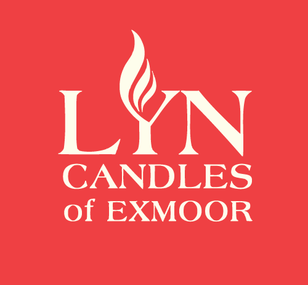 I founded Lyn Candles in 1996 and have over time become one of the ‘must visit’ attractions here in Lynton. I am proud to say that many visitors and holidaymakers return year after year to our shop and showroom. I care very much about the products that we produce and over time I have perfected our methods of manufacture, but this is without the aid of machinery as all of our products are individually handmade. We pride ourselves in all that we do here at Lyn Candles and our aim is to ensure that our customers are truly thrilled with their purchases." Lyn Candles create beautiful handmade candles in picturesque Lynton North Devon. Established by local Chandler John Baker in 1996, the Lyn Candles Showroom and Studio is an excellent shop to visit if you are seeking something different. Many of our customers return time and time again to purchase our products and to watch John as he is making the candles on the premises. Our range includes many products that John has developed over the years, with all lines carefully tested thoroughly before introduction. We produce both scented and unscented candles. All candles handmade in jars or glasses are fragranced. All of our coloured, Seashell, Classic cream and Designer candles are unfragranced. Our scented candles have been created using quality soy wax and are totally paraffin free. This blend has been developed to ensure that all of the fragranced wax burns, therefore reducing wastage and providing more product for our customers to enjoy! This we guarantee! All of our Coloured, Seashell, Classic cream and Designer candles are made from high grade paraffin wax. Our handcrafted coloured range of candles come in a variety of colours shapes and sizes that can be mixed and matched to allow customers to create their own unique candle arrangements. The largest of our Classic cream candles which we refer to as our ‘Designer’ range. These come in round and square pillars and are 6 inches in diameter available in heights of 6 inch, 12inch and 18 inches. Our round ball single wick candles start with a diameter of 200mm with a burn time of approximately 216 hours, right down to a 50mm ball with a burn time of approximately 7 hours. Based in the coastal village of Lynton, our seashell candles provide ideas for those seeking an unusual gift purchase. There are a large number of designs within this range catering for all tastes. The Classic cream range includes a large variety of shapes and sizes that are both beautiful and elegant. We have a large range of slate that make lovely candle stands for the majority of our candles stocked.